Cosmos are an attractive group of annual and perennial plants. 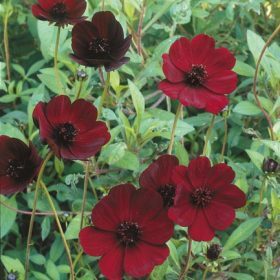 The flowers are as the name suggests a chocolate scented maroon crimson. They are complimented by the unmistakable scent of chocolate and are very hardy in the garden.